I wrote an Ode to Pajamas once. I feel like I could write an Ode to Pancakes today because I had the most perfectly perfect pancakes at Blue Willow for breakfast. 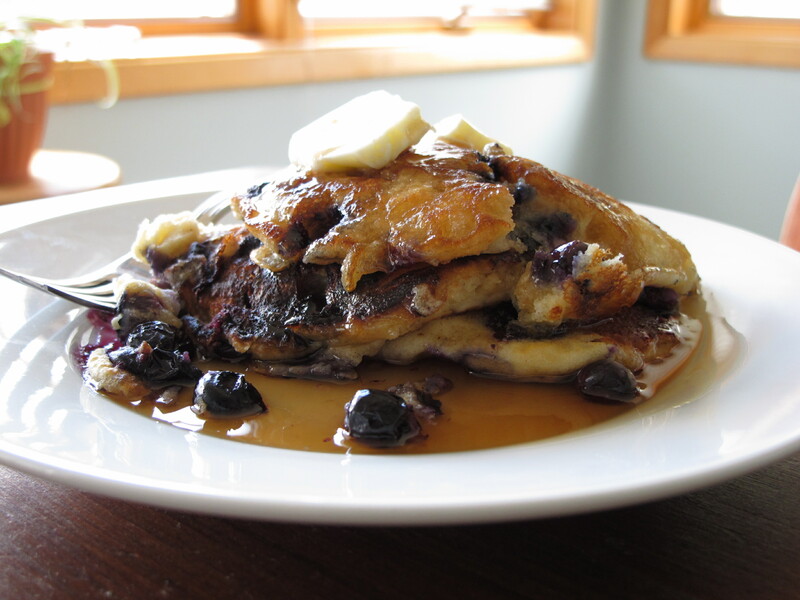 They had blueberries and were a little bit crispy on the top but tender and falling apart once you pour syrup on them. And seriously gigantic. One isn’t enough but two is too many. But here’s the thing that’s strange, I don’t love pancakes very often. How a breakfast fetish as severe as mine doesn’t extend to pancakes is a mystery. But it’s true. I’ll eat eggs every day. Even twice a day. And never get tired of them or run out of ways to fix them. But pancakes? Meh. I think there are a lot of bad pancakes in the world. Lots of heavy, cakey, clunky, pasty, tough, tepid pancakes out there that have scarred me. Emotionally. Or that’s my excuse for my pancake reticence. Which I made using this incredible recipe, but I put the blueberries inside. Where they should be. And there’s this recipe for oatmeal pancakes by Orangette that my sister made and I sometimes I dream about and my mouth waters. Delicious. 3 million calories apiece. But delicious. 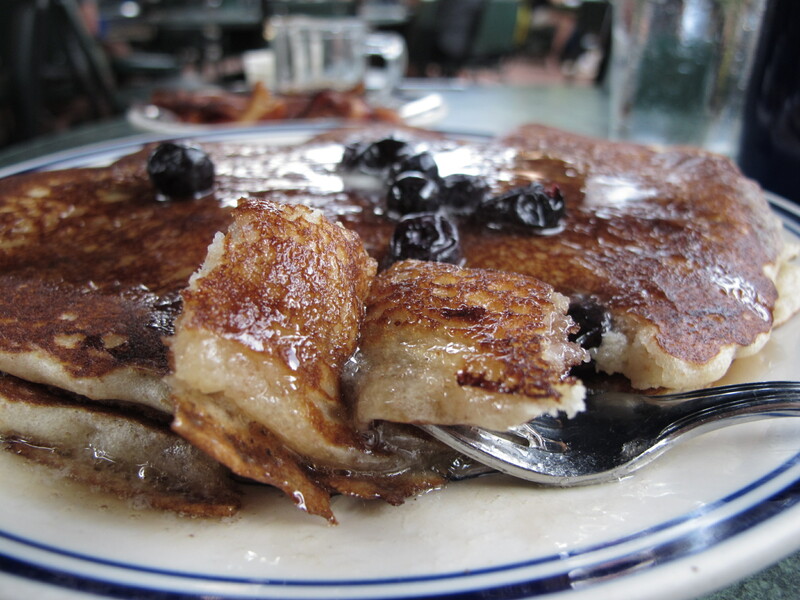 But I can’t remember the last time I ordered pancakes in a restaurant. Until today. And I’m so glad I did. I spent a long time with them and a lot of coffee and the crazy Ya-Yas and I have to say, I couldn’t have improved upon the morning. 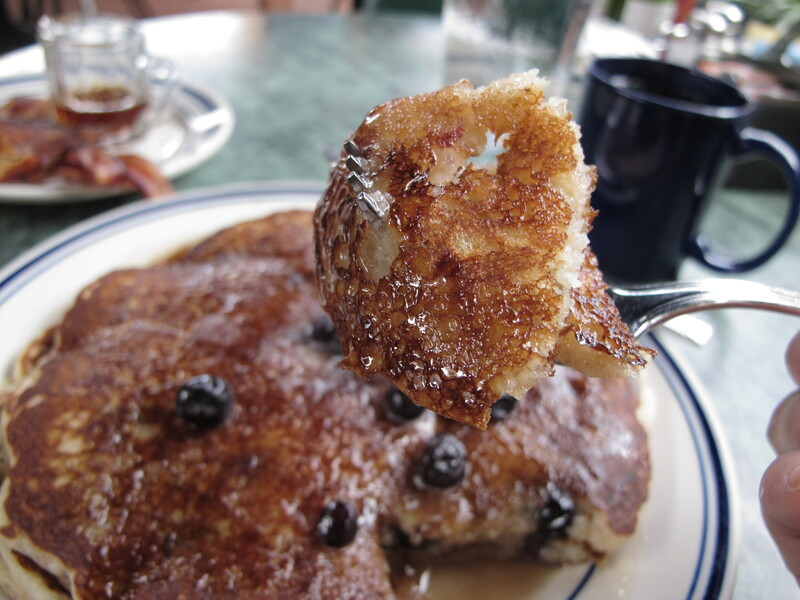 Sometimes, it’s all about pancakes. 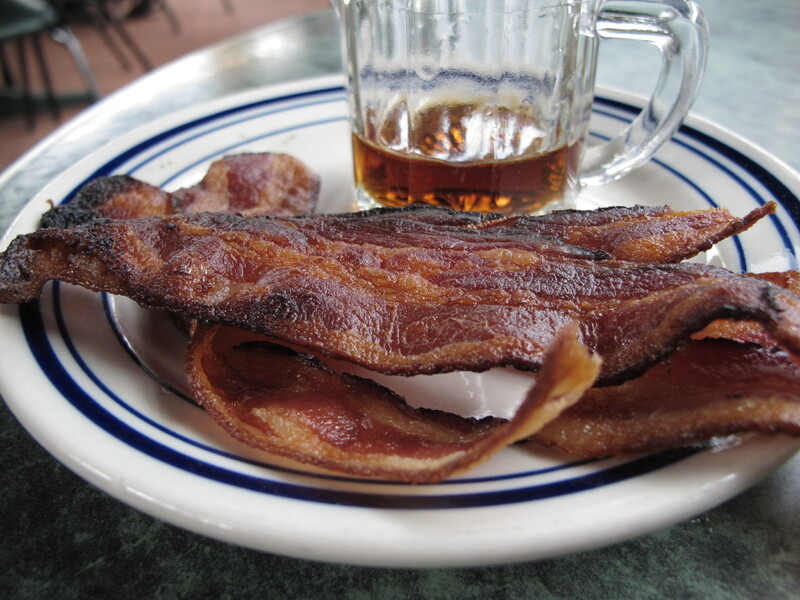 This entry was posted in Arizona, Breakfast, Good eating, Tucson and tagged Blue Willow, i LOVE breakfast, Leftoverist Buttermilk Pancakes, Orangette Oatmeal Pancakes, pancakes, Ryan says FP but I disagree, Tucson. Bookmark the permalink. Great pics. Made me want to eat a pancake which is saying a lot because they are not my favorite food, however, bacon is another story. However i do agree that the ones you made here in silver city were fabulous. And I agree that the divine secrets is a super fun book. Try The Help next. . . I read The Help already! Listened to it, rather. And loved it. Good fiction is really impressive. I’m trying to read more of it right now.